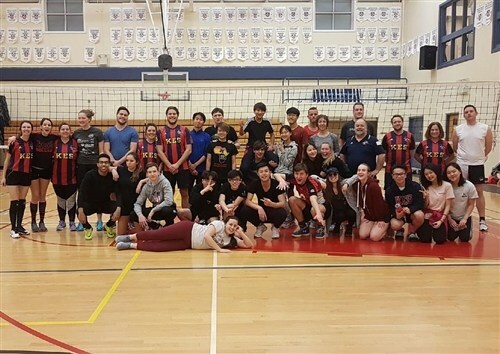 March 1st, 2019 marked the day for the first KES “Volleyball Masters” Tournament. Five student teams and two staff teams came out to play and compete for the title. The tournament had terrific rallies, close games and great moments of sportsmanship. However, the best part of the tournament was definitely the spirit of all our teams. Everyone was having fun, pushing and motivating each other. The strong and united spirit and atmosphere everyone felt during the cultural fair is still present and alive at KES! At the end of the evening, students left with a smile, without injuries and with the good feeling of being active for more than four hours on a Friday night. The team of Julia, Finn, Jarred and Sophia left the gym with a new athletic shirts for winning the title of “Best Student Team”. A very thrilling final was decided between the two staff teams, where “Teach Hard, Spiker Harder” came out as the happy winners of the tournament. I hope this is the beginning of a great new tradition that will be continued for years to come. Special thanks to Mrs. Schafer and Ms. Sinclair who helped with the organization. Rain and Benson did a great job setting up the court and helping as referees and scorekeepers. Their contributions made this a successful night and their help was very much appreciated. I wish everyone a great March Break. Our KES curling teams have had 2 weekends of intense competition in Liverpool and Berwick. The Junior Girls were able to take 4th place out of 7 teams at the Junior Regionals, just shy of the medals. 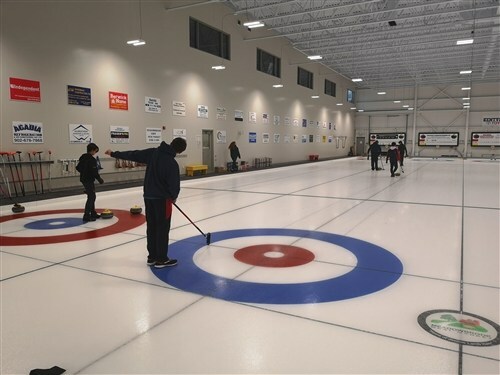 This is an impressive performance for a team in their first year of competitive curling. The Senior Boys and mixed teams were able to score points in every game and had a wonderful experience competing against some very accomplished teams in the region. 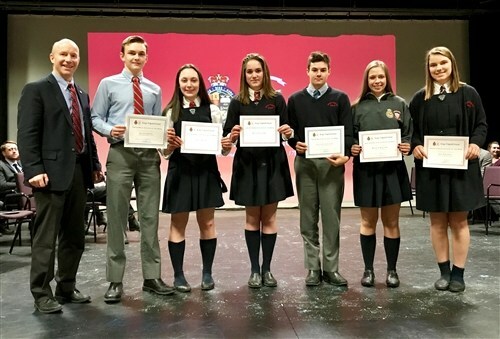 Congratulations to all our varsity curlers who have helped to bring our curling programme to a new level! 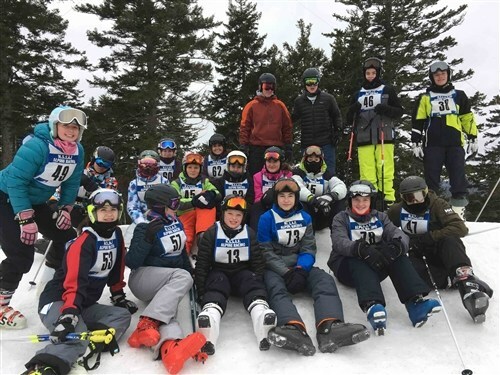 The third and final Western Region Ski Race took place on Wednesday, February 20 at Ski Martock. KES had a cohort of 16 racers and below are the notable placings for the KES team. 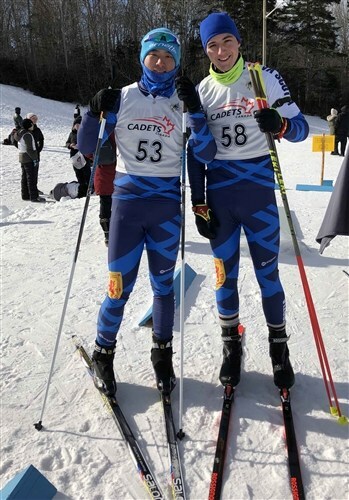 The next competition is Provincials in Wentworth today, Wednesday, March 6. The team will travel to Wentworth on Tuesday, March 5 for a training day, stay in Truro overnight, and race on Wednesday. Wish us luck! Healthy minds need healthy bodies to house them. We have great ways to stay active and healthy all year long. Download the Athletics Photojournal for examples and pictures of our three seasons of athletics. What a fun and exciting weekend of female hockey in Stanstead, Quebec at the NAPHA Championships! 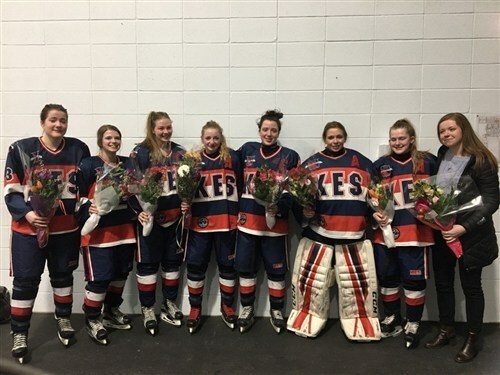 Our girls were awesome and showed the KES competitiveness and sportsmanship at the arena and were polite and kind all weekend, something we sometimes take for granted of our students. 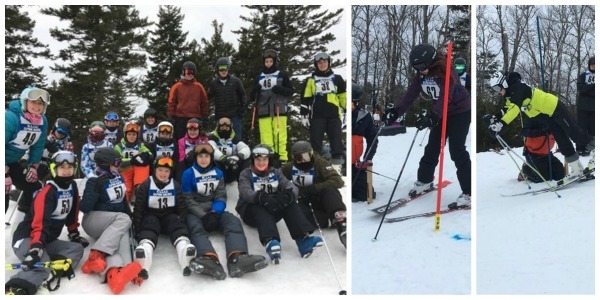 The first Western Region Ski Race took place on Wednesday, February 6 at Ski Martock. KES had a cohort of 19 racers! Here are the notable placings for our KES team. A lot had to happen to pull this race off on Saturday but, most importantly, the temperature could not drop any lower than the current wind chill temperature of -19.6C. We cancel racing at -20C! The temperature did not drop any further and our athletes raced without any serious hitches. 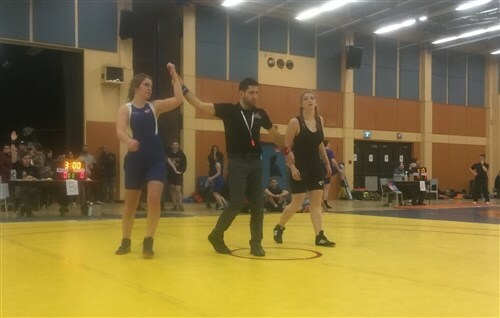 Over the weekend of February 2 nd and 3 rd, ten student-athletes from King’s-Edgehill competed in Sackville High School’s annual wrestling tournament on Saturday and the Nova Scotia Opens on Sunday. 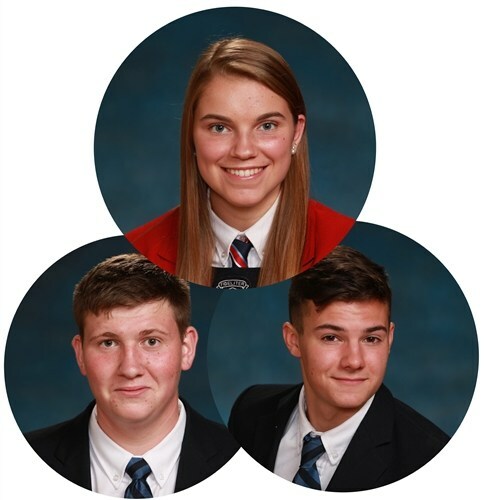 Between the juniors and seniors and the boys and girls on the team, they competed in nearly 50 matches and brought home 14 medals, including 5 GOLDS – three at the high school tournament and two at the open tournament. 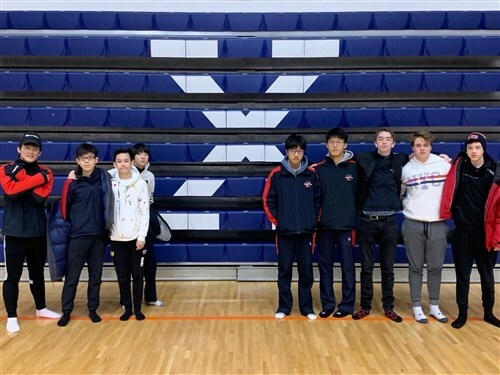 Both days were long, but our wrestlers’ spirits were high as they continued gaining experience, trying new moves, and competing against different opponents from outside the province.